Ice Bank systems provide cooling to buildings in a highly efficient manner. Ice is produced, water runs through it, and air passes across that ice-chilled water to drop the air temperature being blown out. Because these systems produce the ice during off-peak usage hours, utility companies typically provide energy price reductions to these clients. Additionally, because ice bank systems are operating in cooler times of the day, costs of energy are further reduced and the system runs more efficiently. This efficiency positively correlates to longer life expectancy of the system. Thus, ice bank systems are becoming more popular as energy costs rise. Because of space and upfront costs, these systems are most often seen in commercial or industrial applications. What is an Ice Bank System? Ice bank cooling technology cools considerable quantities of water and enables the dispensing temperature to be kept constant. They consist of a stainless steel coil and a copper coil immersed in a reservoir full of water. The copper coil containing the refrigerant gas freezes the water contained within the reservoir producing a cold supply, which in turn cools the drinking water flowing through the stainless steel coil. In this way the water cooler offers greater performance and in particular it ensures the cleanliness of the water.  At B.I.M.S., our team of highly trained service technicians is available 24/7 to ensure your ice bank is repaired quickly and correctly. We pride ourselves on giving quality service that is focused on ensuring longevity of the whole system, optimizing efficiency, and centering on the source of the problems versus only alleviating symptoms. Much like a doctor, we want to treat what’s causing the fever rather than only treat the fever. We also understand how precious keeping a business in operation is. Thus, if something goes wrong, we will work with you to get the problem resolved so that “down-time” is kept to a minimum. If, worst case scenario, the ice bank system needs replacing, our team will work diligently to ensure the process is as flawless and as quick as possible. For any issue, has access to a vast network of distributors for parts and equipment (including those hard to find). Keep your ice bank system performing at its optimal level and help ensure its long life by having it properly maintained. This preventive maintenance keeps the ice bank operating at peak efficiency, minimizes unnecessary repairs and down-time, and helps keep energy costs low. This service keeps your system clean and in good working order. It also helps prevent smaller problems from becoming larger, more costly problems. Call us today at (214) 467-2653 if you have any questions about ice banks and/or are having issues with your ice bank system. B.I.M.S. provides heating, air conditioning, refrigeration, indoor air quality services and more to Dallas, Arlington, Fort Worth, Waxahachie, Denton, and to the surrounding areas in Texas.